Mechanically, the MGB was little changed for 1970, retaining its 1,798cc pushrod engine, four-speed all-synchro transmission and all the familiar running gear. It was, however, given a light facelift and “Leylandized” with a new recessed black-out grille, Ro-Style styled steel wheels (wire wheels remained optional) and new taillight lenses and rubber tipped bumper overriders as well as a 1970 only split rear bumper. Inside, leather seating surfaces had given way to vinyl. Despite a “cheapening” of the MGB’s specifications, sales climbed modestly for both the convertible and the GT. Little changed for 1972, although American market cars were distinguished by a right side door mirror and a modified dashboard with a glove box. For 1973, the traditional chrome grille surround returned with a black mesh insert and GTs were retrimmed with a corduroy fabric on all seating surfaces. Early in 1974 the bumpers sprouted unsightly black overriders, which were only a harbinger of worse to come. 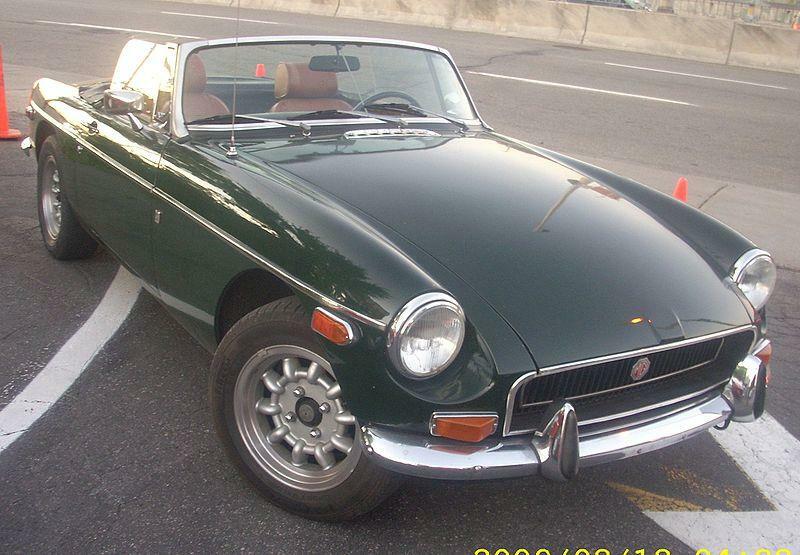 For the midyear “1974 ½” models, the MGB and MGB/GT were raised on their suspensions and fitted with large front and rear bumpers in an effort to meet increasingly stringent Federal crash standards with minimal investment.